Opening hours: Most offices are open Monday to Friday, from 9 am to 5 pm or 6 pm. Some bank branches open on Saturday mornings. Shopping centres and department stores are usually open seven days a week until 8 pm or 10 pm. Shanghai Disneyland is the 6th Disneyland in the world. It opened in 2016 and covers 91 hectors of land. In line with the company's promise, this Disneyland is "authentically Disney and distinctly Chinese". The park has seven themed areas: Mickey Avenue, Gardens of Imagination, Fantasyland, Treasure Cove, Adventure Isle, Tomorrowland, and Toy Story Land. This is also the only Disneyland where you can see all the Disneyland princesses introduced so far, including Mulan. This is where the new and old Shanghai meet. 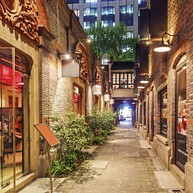 In the traditional stone-paved alley lies, perhaps, the artsiest neighbourhood in Shanghai. Modern restaurants and cafés line the street. 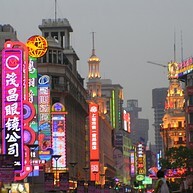 Take a walk on a cosy afternoon, you can surely discover another side of this international metropolis. If you fly into Shanghai’s international airport in Pudong, be sure to take the Maglev into town rather than a taxi or regular metro. The Maglev is China’s futuristic magnetic levitation train and the fastest ride in its technological repertoire. The journey only lasts a few minutes, but during that time the train can reach a top speed of 430 kilometres per hour (although the average is closer to 300 km/h). It’s the view you’re going for: on a clear day, Jin Mao Tower offers incredible 360-degree panoramas across the city. It’s 88 storeys high and it’s located at number 88 - have you guessed that eight is a lucky number for the Chinese? There are offices up to the 50th floor, then the Grand Hyatt hotel from floors 53 to 87. A public observation deck is located on the top floor. 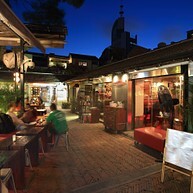 Otherwise, forget the lucky numbers and go for a drink at the Grand Hyatt’s Cloud 9 bar, just one storey below. 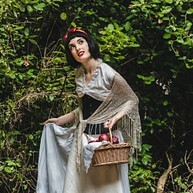 If you are looking for a great evening activity, then this might be something for you; in fact, this is one of the most popular forms of evening entertainment in the city. 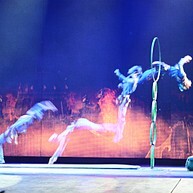 Here you can experience stunning acrobatic performances accompanied by live music. 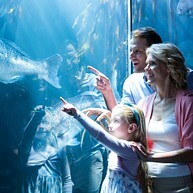 Shanghai Ocean Aquarium is the largest sea aquarium in Asia, divided into nine different thematic zones including China, South America, Australia, Africa, Polar, Deep Ocean, and more. This is a place where you can discover more than 15,000 marine creatures and almost all sea species that can be found in Asia. Do not miss the underwater tunnels. This Buddhist temple was founded in 1882, with two jade Buddha statues imported from Burma (1.95 metres tall, 3 tonnes) by the Monk Huigen during the Qing Dynasty. 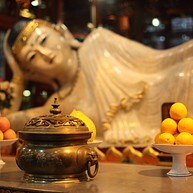 Today there is plenty to see on premises, including multiple beautiful Buddha statues. This interactive museum turns scientific theories into an exciting, interactive experience for guests of all ages. 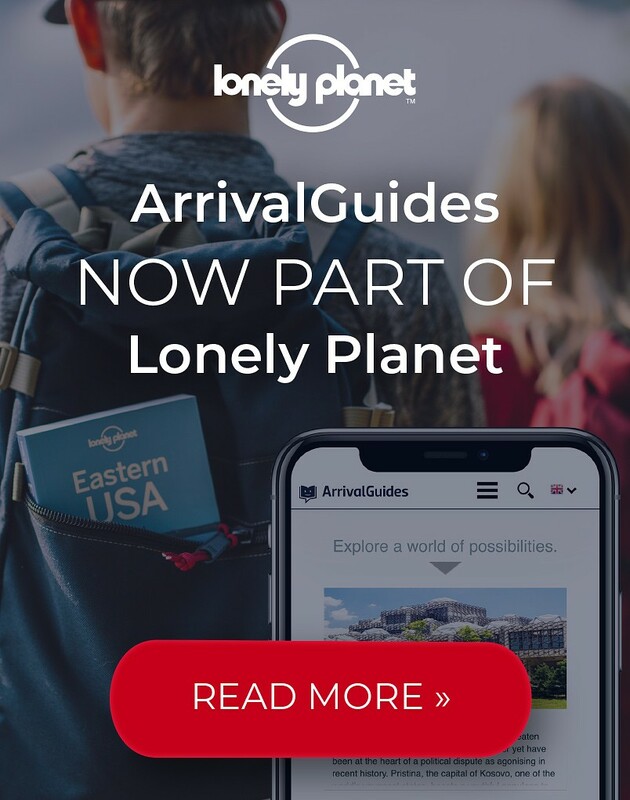 Learn about the structure of the Earth surface by travelling hundreds of meters down to its core, explore animal diversity by taking a stroll through rain forests and deserts, and understand the theory of gravity by riding a bicycle on a steel string hanging in the air. 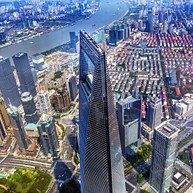 For sweeping views over Shanghai, visit this 492-metre skyscraper. Also known as SWFC, this second tallest building in Shanghai features an indoor observatory from the 94th to 100th floors. Walk across the impressive Sky Bridge on the 97th floor and experience the tallest observatory in the world on the 100th floor. Run down there quick, before the lights are extinguished: there’s the talk of turning the Bund Tourist Tunnel into a tediously ordinary commuter line. In the meantime, it’s the most entertaining way to cross between the Bund and Pudong. Pumping music, psychedelic neon and nebulous commentaries accompany your journey - it’s showy, it’s tacky and it’s truly outrageous fun. It’s sometimes called the Bund Sightseeing Tunnel. 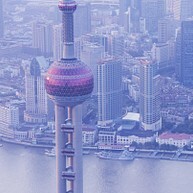 As one of the tallest towers in Asia, Oriental Pearl TV Tower is the distinct landmark of Shanghai. 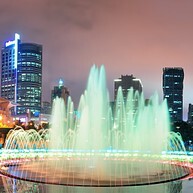 Located opposite The Bund, it is one of the hottest city attractions, as well as an entertainment venue containing dining and shopping spots. 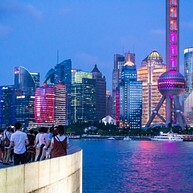 There is an observation deck at the 263-metre mark, which offers fascinating views of Shanghai.